Proper tire pressure is essential to good vehicle handling on the road. Low tire pressure will cause a vehicle to feel 'soft' or 'floaty' while driving - causing a significant decrease in vehicle handling, tire grip and fuel economy. Having the proper tire pressure in your tires is very simple to check, and can go a long way toward improving/maintaining fuel economy. 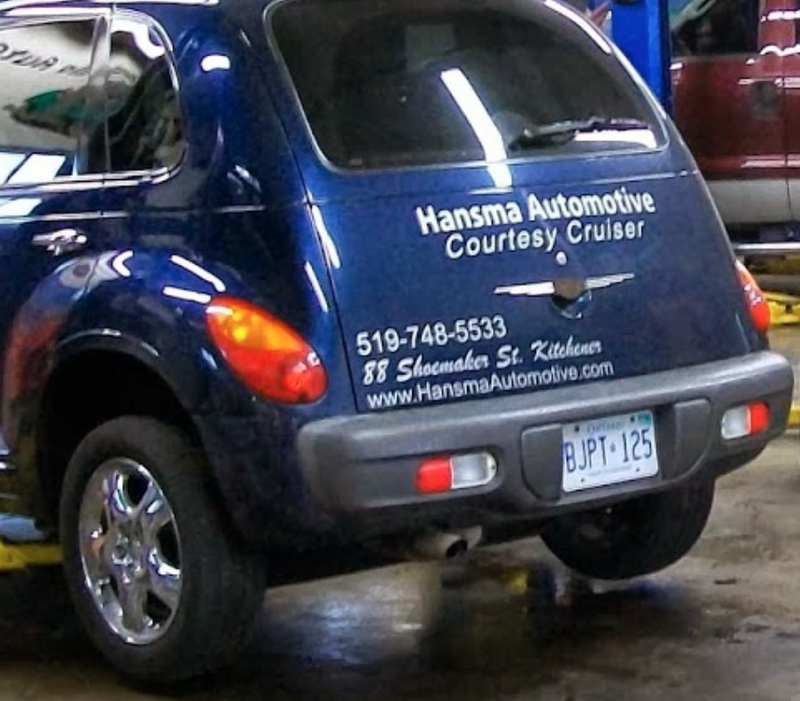 Click here to contact Hansma Automotive today. What Does Tire Pressure Affect? The softer a tire, the less round it will be when it rotates. This change will effect the handling of the vehicle, and will require more fuel as it will take more energy for the tire to make a full rotation. There are some very specific times in which low tire pressure can be a benefit (such as when driving on sand), but these situations typically do not exist on roadways in North America. Checking the air pressure inside your tires is extremely simple. First, you will need a tire pressure gauge, which only costs a few dollars at any hardware store, garage, or gas station. Simply take the tire pressure gauge and press it onto the intake valve of the tire in question. Make sure that the tire pressure gauge is capturing the entire flow of air coming out of the tire. If attached right, the tire pressure gauge will immediately tell you the tire pressure in PSI (pounds per square inch). The recommended psi of the tires will often be listed either in your vehicle's manual, or written on the wall of the tire itself. How Do I Add Air to My Tires? An air compressor is necessary to add air to vehicle tires. Air compressors for the purpose in inflating tires can be found at most gas stations. Your local mechanic (such as Hansma Automotive) will also have an air compressor. Adding air is as simple as taking the air compressor bit, and attaching it to the tire intake in the same way as the tire pressure gauge. After a few moments of filling, detach the air compressor and check the psi with the tire pressure gauge. If it is still low, add more air. If it is too high, simply let some air out of the tire until it reaches the desired psi. Just as driving with low tire pressure can cause unnecessary wear on a tire, driving with too much pressure can as well. Make sure to never over inflate tires, as it can shorten their lifespan dramatically, and in rare instances may even cause them to burst. Posted on January 5, 2015 by Hansma Automotive..